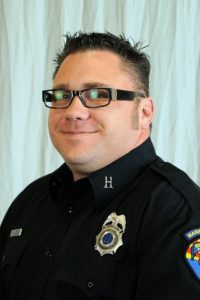 Shane Vargas began his career with the Rural/Metro Fire Department more than 15 years ago. A strong proponent of personal growth and development, Shane became a Fire Captain nearly six years ago and earned his Paramedic certification last year. He has his sights set next on becoming a Battalion Chief. In December, Shane and his crew responded to a working house fire. Upon arriving on scene, they learned a person was inside and made entry. Shane located an unresponsive woman inside the home and dragged her out, with smoke and flames hot on his heels. After transferring care to other Paramedics, Shane returned to the burning structure to search for other occupants and then worked to prevent the flames from spreading to surrounding homes.